It is normal that when there is growing popularity and need for a certain product, there are businesses appearing with very similar products or inspired by the original one. The same thing is happening with the hostels. The social atmosphere, the possibility of being yourself, and the ways of connecting and getting to know local cultures during travels matched perfectly with Millenials. This attracted the big hotel players striving for capturing the new generations of travellers. The results are new hotel brands that were inspired by the best features of the hostels. I believe that this helped to change some perception of the hostels as a crappy places. And also created a competition for the existing hostels in the industry. But still you need to have in mind that those inspired-by-hostels places despite sharing many similarities, well…can’t ‘duplicate uniqueness’ of hostels. Hilton announced in 2016 a new affordable hotel brand that targets young travellers with low prices and stylish design. The first Tru was opened in Oklahoma city in May, 2016, and by the end of 2019 it is planned to open more than 150 in other locations. We’ve opened the doors to something different. Say hello to a brand-new hotel experience from Hilton that’s vibrant, affordable and young-at-heart. It’s energetic, yet relaxing and comfortable. It’s familiar, and it’s also unexpected. It’s completely unprecedented, it’s uniquely Tru. Moxy hotels can be found both in Europe and USA. Marriott partnership with the Swedish furniture maker IKEA in order to create this brand. Unlike any other brand in its tier, Moxy is all about creating cool, energetic, communal spaces with a “crew” who helps guests have some fun. Jo&Joe brand is said to be ‘something more than a hostel’ – a new concept in hospitality, a ‘open house’. First one debuted in Hossegor, France in June 2017 and Accor plans to launch 50 more by 2020. JO&JOE is a place that’s uniquely designed for millennials, locals and travelers. It’s an Open House that’s lively, affordable and caring. A house where guests are free to do just as they please! Created by the Sydell Group. In Freehand Hotels you can find both: private and shared rooms. Located in USA. Freehand is a collection of hotels that combine the social culture of a hostel with innovative design, award-winning food and beverage, and a community-driven atmosphere. Each Freehand takes its cues from the surrounding neighborhood, with spaces that are a microcosm of the best each city has to offer. Currently there are 16 hotels of this chain in 10 different cities in Europe. MEININGER is a young and expanding hotel group. Based on the simple yet ingenious idea of combining the best that hotels and hostels have to offer, MEININGER offers comfortable and cheap hotels – ideal for your city break. The cosmopolitan and relaxed MEININGER atmosphere comes free of charge. 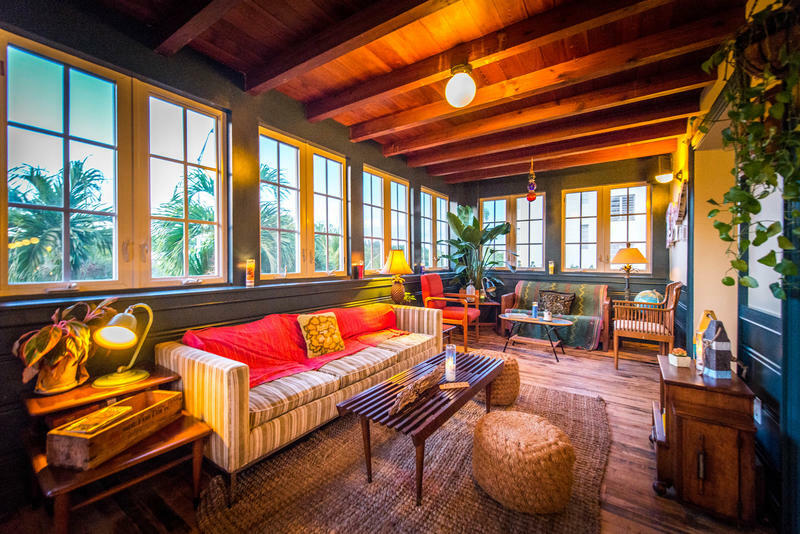 The growing popularity of hostels introduced into this industry new competitors in the form of boutique hotels and hotels with emphasis on the common areas, experiences and connection with the local community and developed co-working spaces. As the generation of travellers are changing and so do their needs and expectations both hostels and hotels need to search for the ways to attract them. Sometimes I think that those new players are simply beautifully wrapped boxes (with their designs), that after opening you will not necessarily meet what hostels have in offer. As much as I love hostels I can’t help being curious about the big hotel group’s solutions on the mission to capture millenials and generation Z. If you will stay in one of them let me know how it was!